More than 72 hours after an explosive was found in the mailbox of liberal billionaire George Soros, and 24 hours since they started showing up at the homes and offices of other prominent Democrats and media outlets, law enforcement officials have begun a full-fledged manhunt for the person or persons who sent the devices. 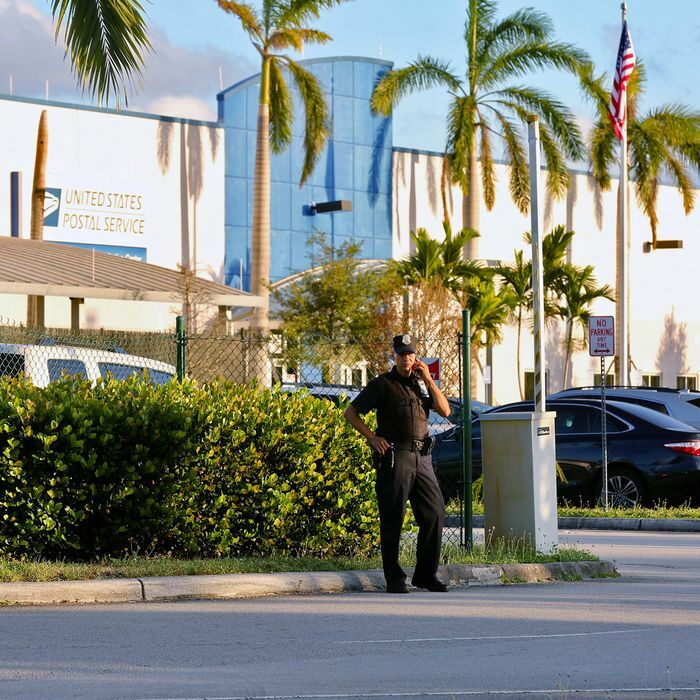 On Thursday, the focus of that manhunt was a sprawling mail facility in South Florida, where several of the packages are thought to have originated, according to CNN. The FBI’s counterterrorism team, which has classified the matter as one of domestic terrorism, is leading the investigation. But local police in Florida have also sent a K-9 unit to check the facility for additional explosives. They found none. The most useful clues investigators have at this point are the bombs and the packages in which they were sent. Each bomb came in a manila envelope padded with bubble wrap. Each had a typed address and six stamps. Each of these elements will be thoroughly dissected by police, CNN reports. As for the bombs themselves, they’ve been taken to an FBI lab in Quantico, Virginia. Some experts are wondering if the bombs were ever meant to explode. One official involved in the investigation told The Miami Herald that they were so poorly constructed that they couldn’t have detonated. NBC News is reporting that early analysis has shown some of the bombs to have been incapable of exploding. An official told CNN that the person who made these bombs was either a moron or a genius. This person said either the bombmaker was good enough to ensure none would go off and never intended them to explode or it was poorly constructed. Speaking to CBS News, security expert Jerome Hauer said he didn’t think the bombs were meant to go off. “My sense of it is they’re crude, they were not supposed to explode, but he’s trying to terrorize people by sending something that looks absolutely real,” he said. All ten bombs are reported to be similarly constructed, with black tape wrapped around a PVC tube filled with powder and glass. Each also held a small battery. A law enforcement source told Reuters that they were likely based on designs easily found online. Several law-enforcement officials said that investigators would likely obtain data from cell towers in the areas where they believe the packages were mailed. The data from each area could then be cross-referenced to create lists of phone numbers — and, ultimately, phone users — who were in the areas around the times the packages were mailed, the officials said. As of Friday, ten devices have been found. Their intended targets were Soros, Bill and Hillary Clinton, Barack Obama, CNN, former CIA director John Brennan, Eric Holder, Maxine Waters, Robert De Niro, and Joe Biden.